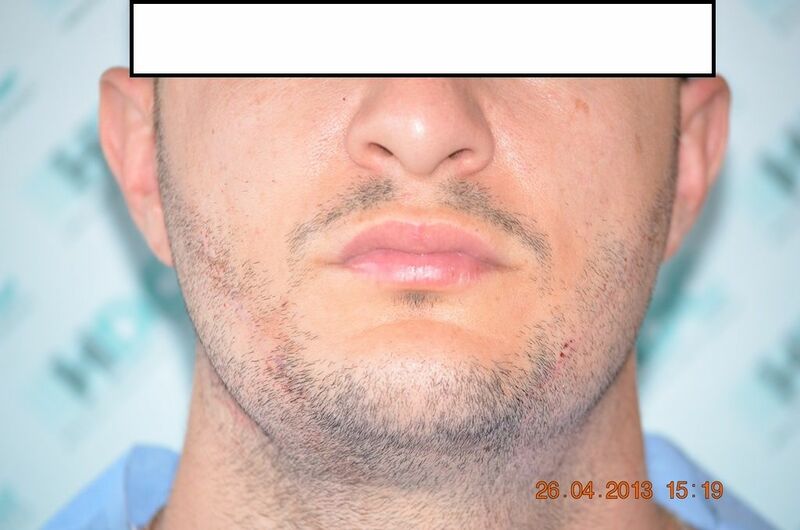 The problem woth photobucket is been resolved and the patient photos can be seen again. 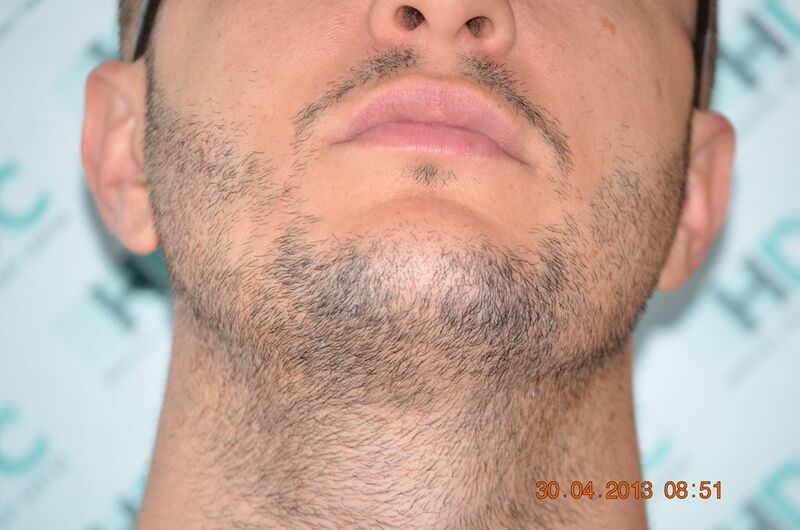 Let’s take a look for this case from another veiw. 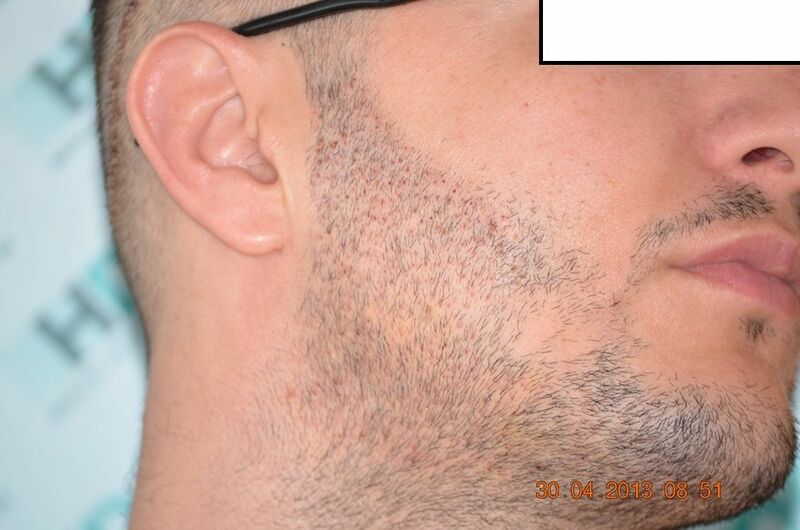 Here we can see clearly that no one shouldn’t have strip procedure never. 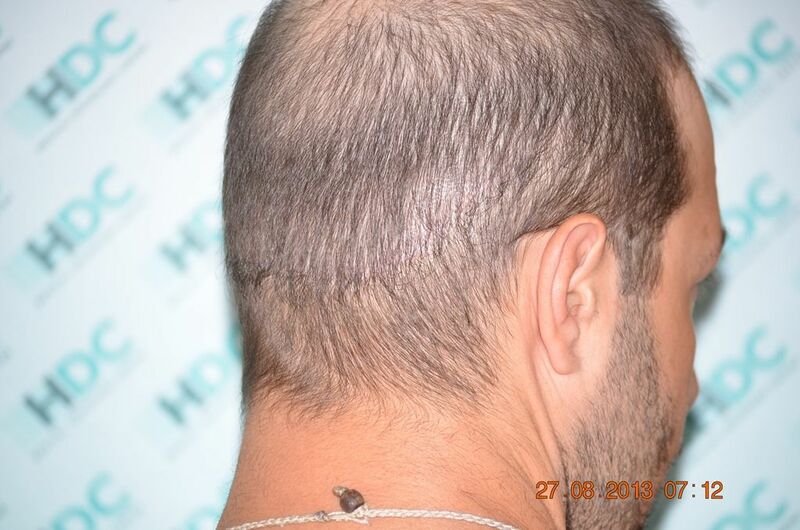 If you loose more hair and you wanna cut your hair very very short you are not able to do that because of the smiley scar in the back of your head. 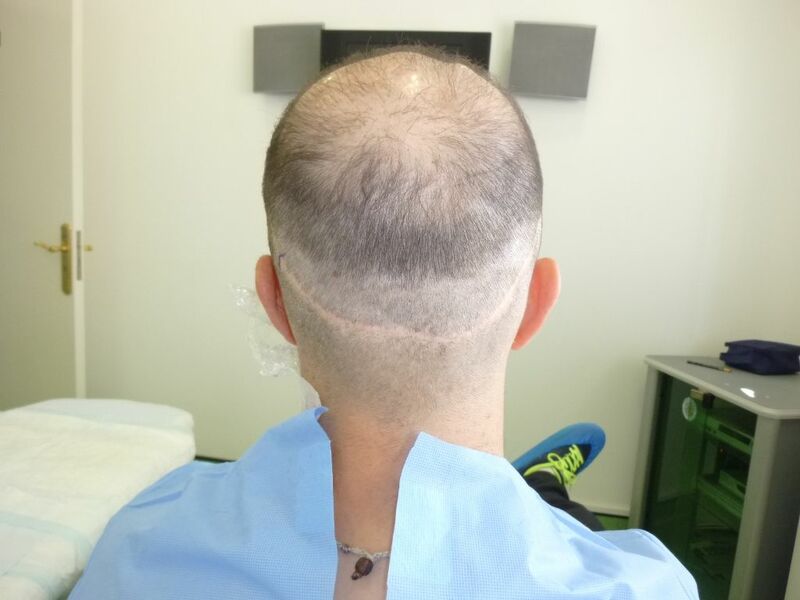 People have to think long term. 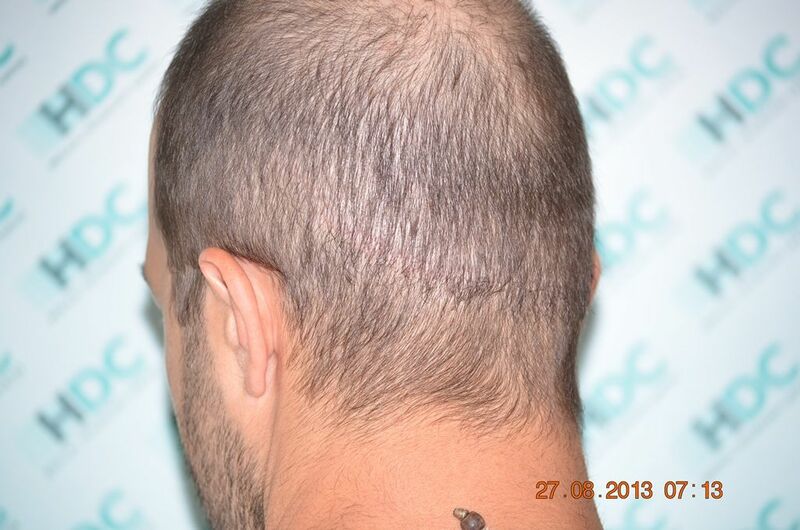 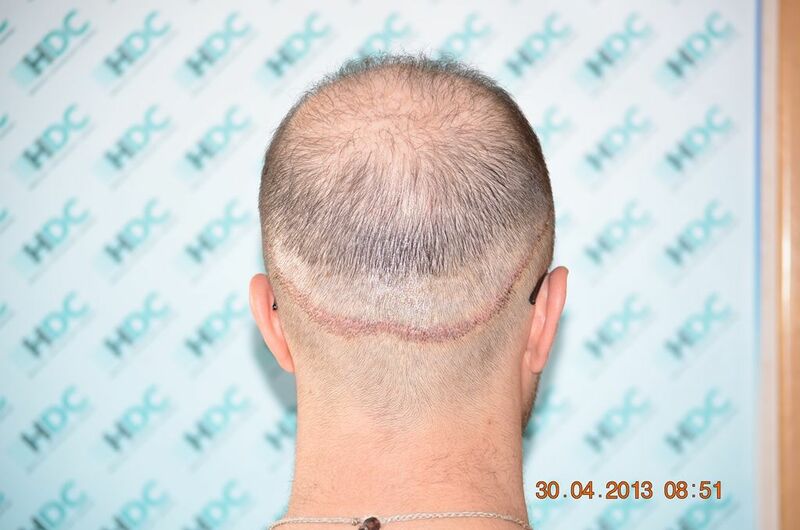 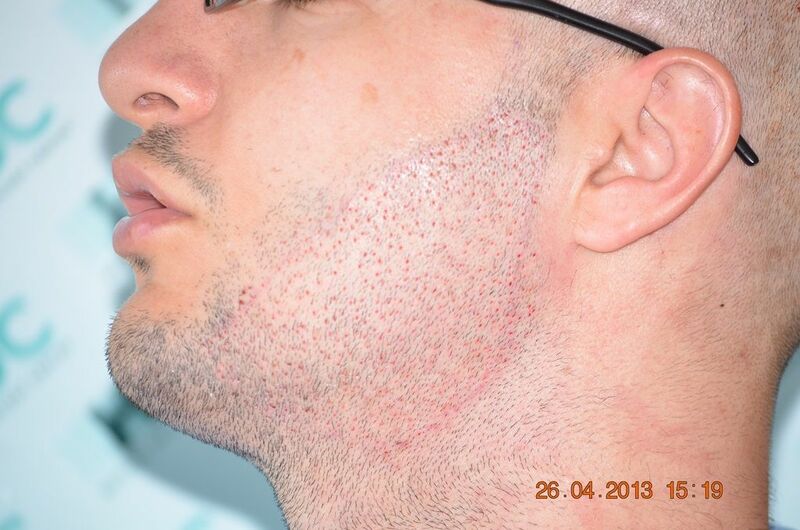 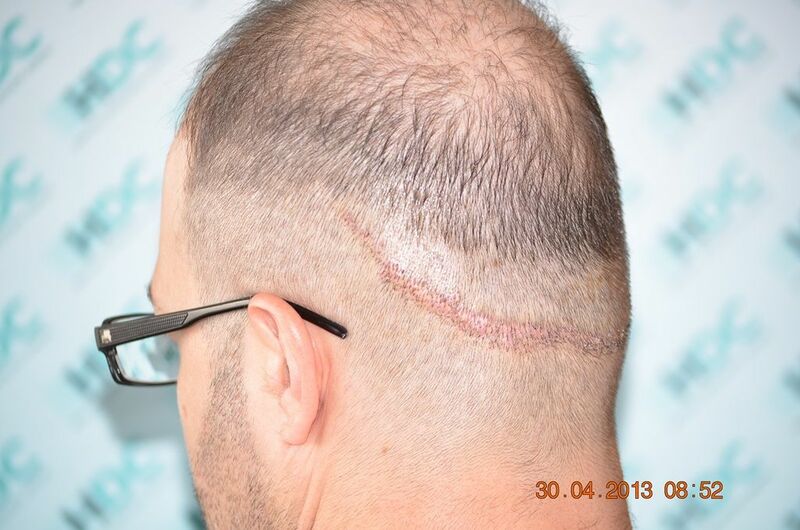 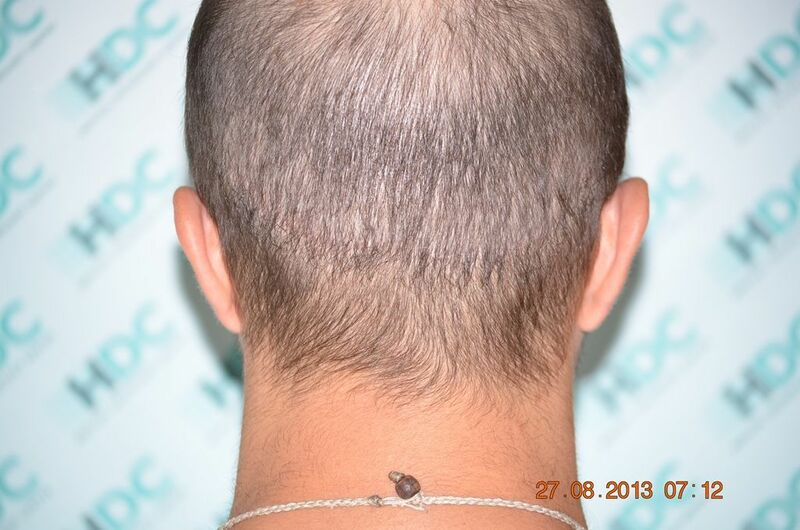 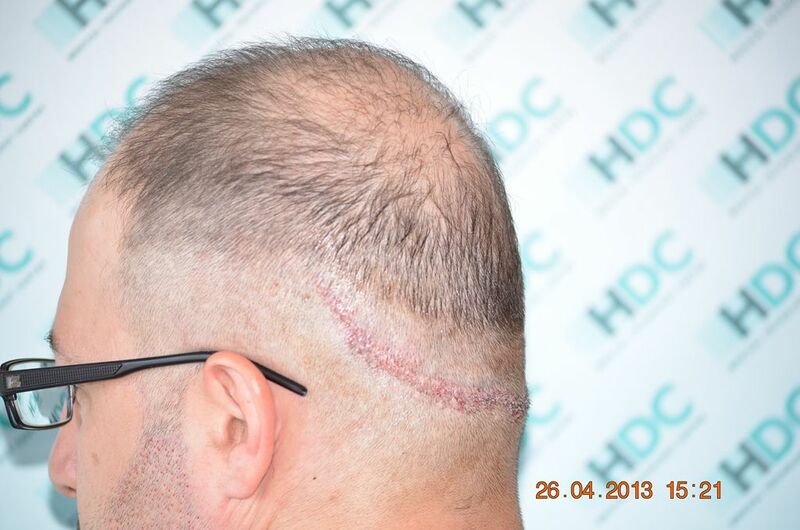 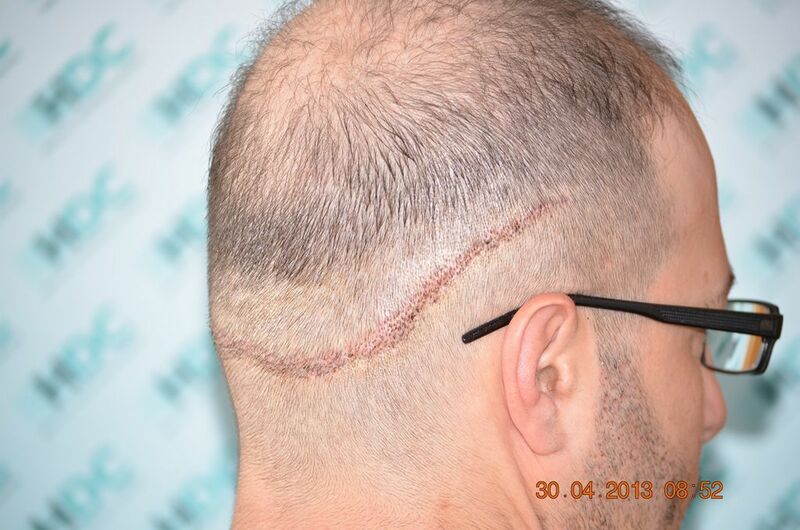 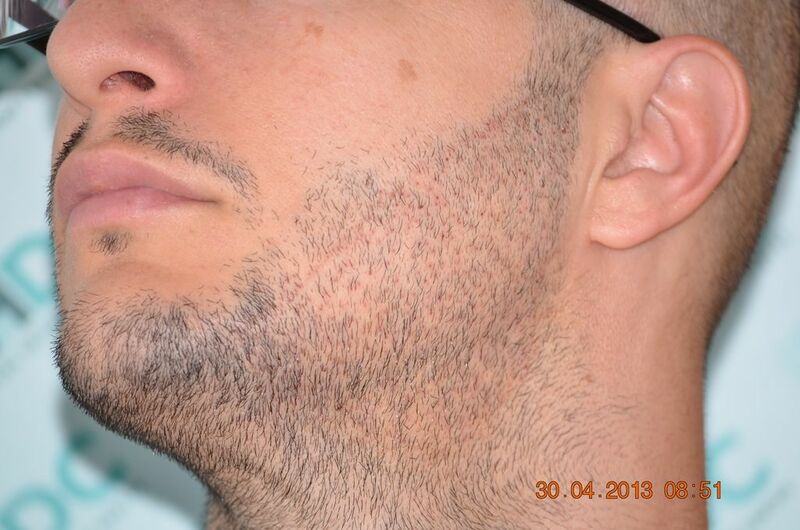 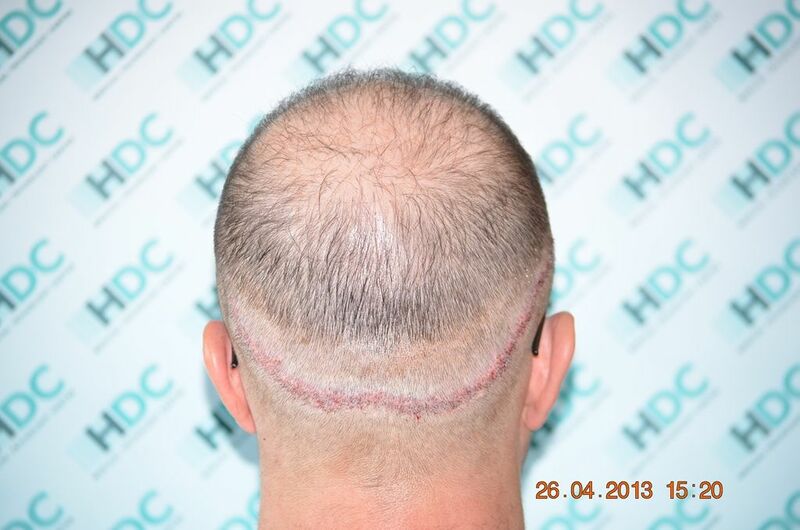 The patient is back to Cyprus for his FUE procedure in order to restore his frontal third. 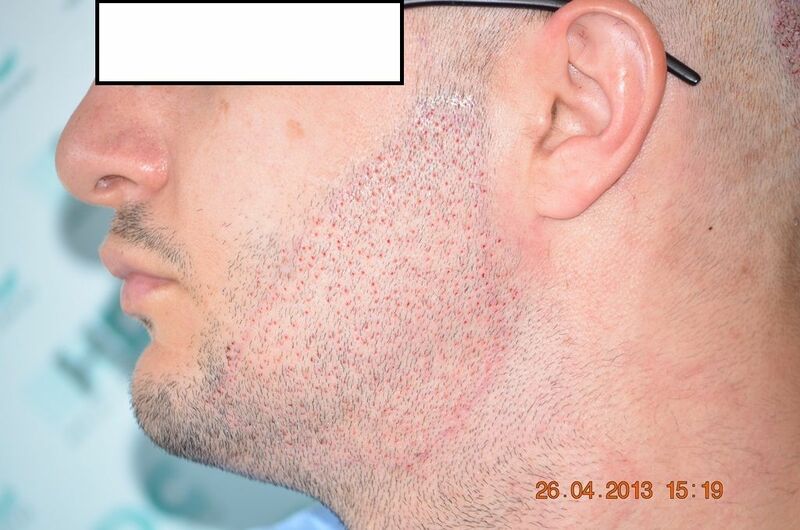 Below you can see the progress of his initial FUE procedure with HDC that took place 4 months ago with the aim to disguise his old Strip scar with 679 beard grafts. 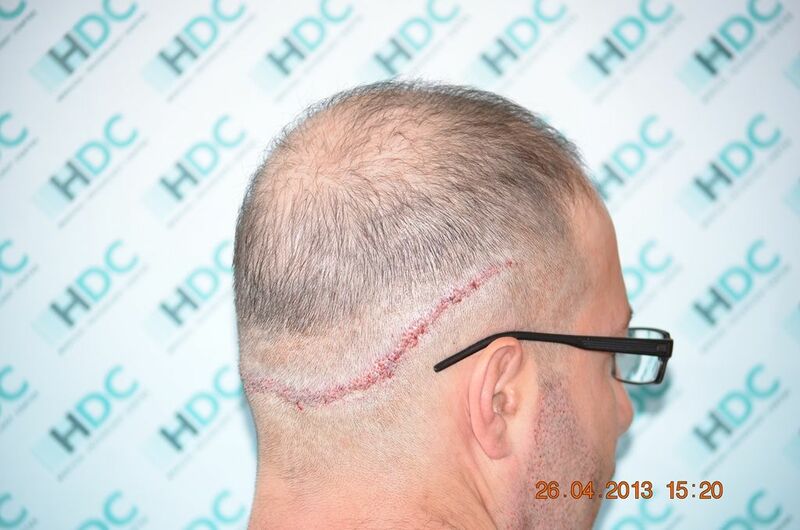 Below is a small video we have prepared of this scar disguise with the before, immediately after and result photos.